WELL VERSED: Shirley's new collection brings together stories that have their finger on the pulse of contemporary Jamaica; below, the cover art for Skid. 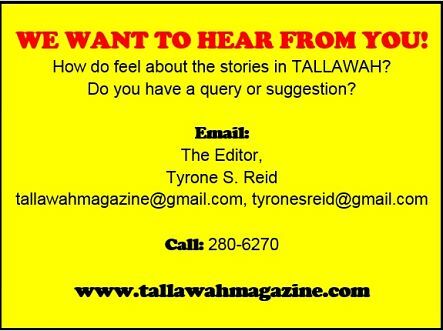 In the realm of contemporary Jamaican women poets of cultural significance - Millicent Graham, Ann-Margaret Lim, Cherry Natural, Yasheka Graham, to name only a few - Tanya Shirley has distinguished herself as a potent voice who defies easy categorization. But her style is certainly one that makes the past and present, the light and the dark, the heights and depths of human relationships dance together in sync. 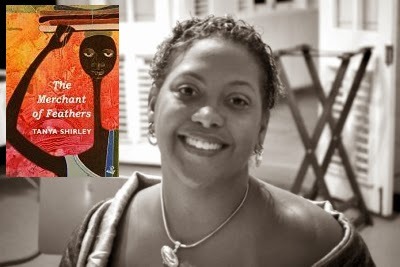 Witness her widely praised debut collection, She Who Sleeps With Bones, a splendid first outing that won her an ardent following and put the Caribbean literary landscape on notice. There's more where that came from. With The Merchant of Feathers (Peepal Tree Press), her second collection, Shirley continues her engagement with concepts that have always mattered deeply to her - art, life, beauty, pleasure, pain. According to Peepal Tree, the 64-page collection comes laden with lyrical stories that have their finger on the pulse of contemporary Jamaica in all its exuberance brokenness. "[Shirley] tells these stories with a winning mix of observation, outrage, tenderness and understanding," the publishers note. "[This is ] a woman who is sometimes dangling from high wires but always out in the open." When Roland Watson-Grant published his Louisiana-set debut novel, Sketcher, via London's Alma Books in 2013, it met with overwhelmingly positive feedback from noteworthy publications, both here and abroad, who described it as everything from "a vividly textured evocation of life in the Bayou" (The Literary Review) to "funny, sad and atmospheric" (The Independent). 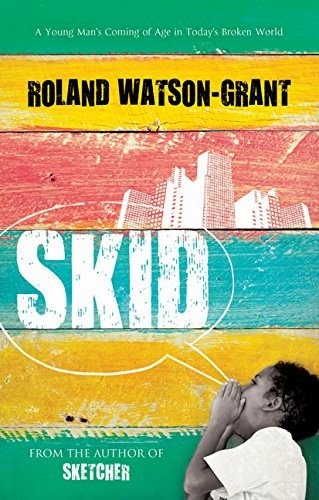 A little over a year later, Watson-Grant is back with Skid, the second volume in his Trilogy of the Swamp that continues his deep exploration of a young man's coming of age in today's broken world - and a marked fascination with themes spanning youth, family, history and Southern living. This time around the action takes place in eastern New Orleans, where our young hero stumbles upon startling family revelations, including the shocking discovery that Skid is a hoodoo word of ominous significance. Jolted to his core and determined to uncover the truth, Skid embarks on an adventure that pits him against his older brother, Frico, and results in a chance encounter with the mysterious Claire, a young girl who seems to hold some of the answers. If Skid is anything like its predecessor, readers are in for an emotional roller-coaster ride - an engrossing tale that's already been described as "heartwarming, funny and poignant."